ID Systems is a collection of mobile contemporary furniture designed to fulfill and enhance the needs of today's learning environments. 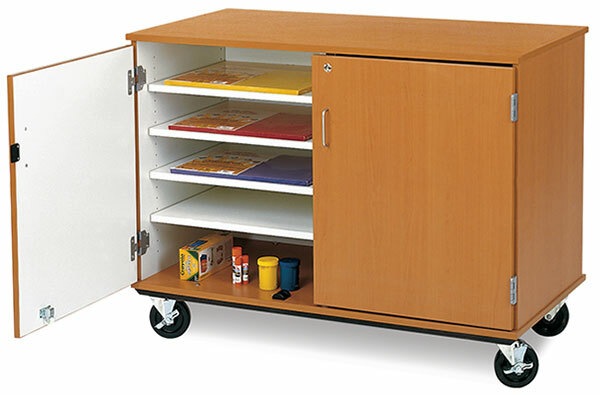 This roomy rolling cabinet holds a wide variety of art supplies and paper on eight adjustable shelves. The shelves accommodate paper sizes up to 20" × 22". 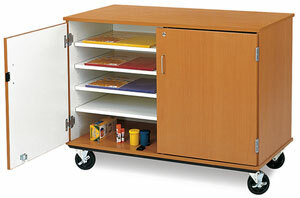 The cabinet's laminated surface is easy to clean. Four large swivel casters (two locking) are bolted to steel reinforcing channels to provide a rigid, stable structure that rolls easily over thresholds and uneven floors.